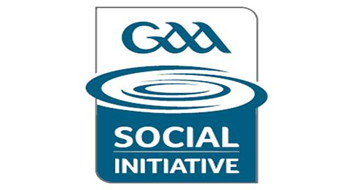 The October-December 2011 GAA Social Initative Newsletter praises the work done by Edenderry GAA in the build up to the County Final. Edenderry Senior team won the Offaly County final this year for the first time in many years. The club opened a temporary ‘club shop’ on the main street of the town in the lead-up to the final. In addition to selling flags and bunting the shop was used to display pictures of old teams and as a drop-in point for members with tea/coffee on offer free of charge. Sixty years ago in 1951 Edenderry won the Senior Final and two more followed in the fifties so on Wednesday 5th of October the club arranged for all of the surviving members of the teams to gather in the shop for a cup of tea and a chat. Afterwards they retired to a local restaurant where the club treated them to a lunch. It proved to be a very successful event. They met at 11am in the shop and all were delighted at the initiative as they had not met for many years. They enjoyed looking at the old photographs and discussing old games. As the shop is located on the main street many people dropped in for a chat with the lads’ and a great morning was had by all.th of October the club arranged for all of the surviving members of the teams to gather in the shop for a cup of tea and a chat. Afterwards they retired to a local restaurant where the club treated them to a lunch. It proved to be a very successful event. They met at 11am in the shop and all were delighted at the initiative as they had not met for many years. They enjoyed looking at the old photographs and discussing old games. As the shop is located on the main street many people dropped in for a chat with the ‘lads’ and a great morning was had by all.